Less than perfection is not an option for Claire and the staff of One Fine Day. Offering fresh ideas to the bride, from initial contact to the goodbyes as the couple leaves for their honeymoon, Claire understands the desire each bride has for her wedding to be unique. Most important is the need for her clients to understand the factors essential to planning such an event. The client’s vision, incorporated with Claire’s fresh ideas, is the perfect fusion. One Fine Day Event offers customized wedding packages to meet the needs of every couple. Our packages include Wedding Day Coordination, Wedding Design, Honeymoon Planning, Rehearsal Dinners, Engagement Parties, Bridal and Couple Showers or any other wedding festivity. Contact One Fine Day Event for pricing and additional information. 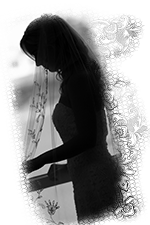 We can handle each and every aspect of your dream wedding so you can enjoy the process.